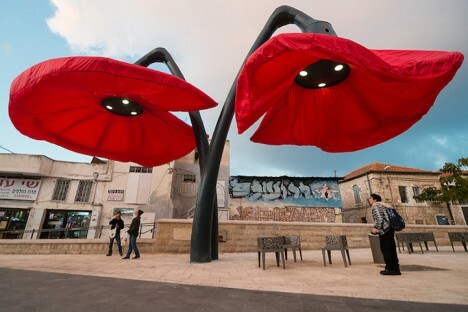 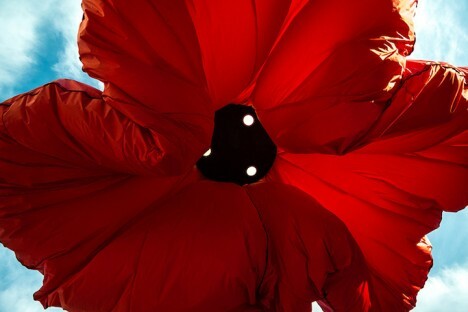 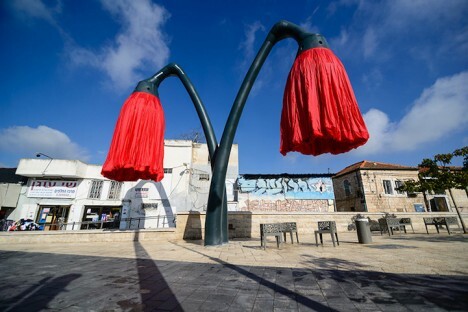 Step beneath these massive red flowers in Jerusalem’s Vallero Square and they’ll bloom before your eyes, offering light after dark and shelter from the rain. 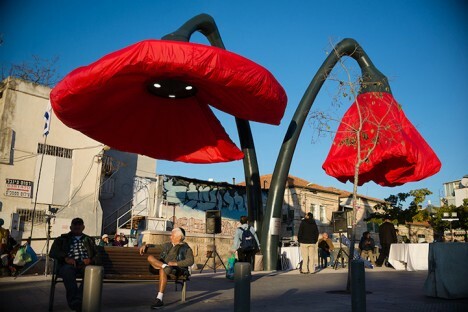 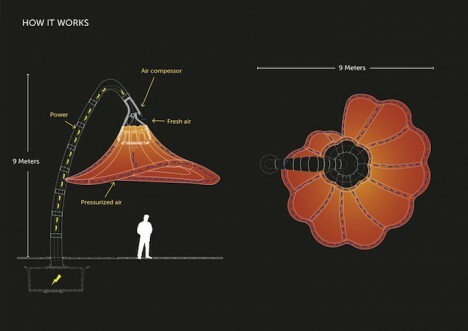 The interactive installation by HQ Architects reacts to pedestrians and traffic, their crimson textile petals filling with air when motion is sensed nearby. 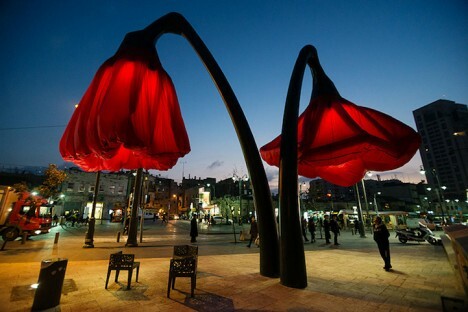 Standing 30 feet tall in two pairs on opposite ends of the square, the flowers can be seen from afar, providing an eye-catching visual for visitors to a busy nearby market. 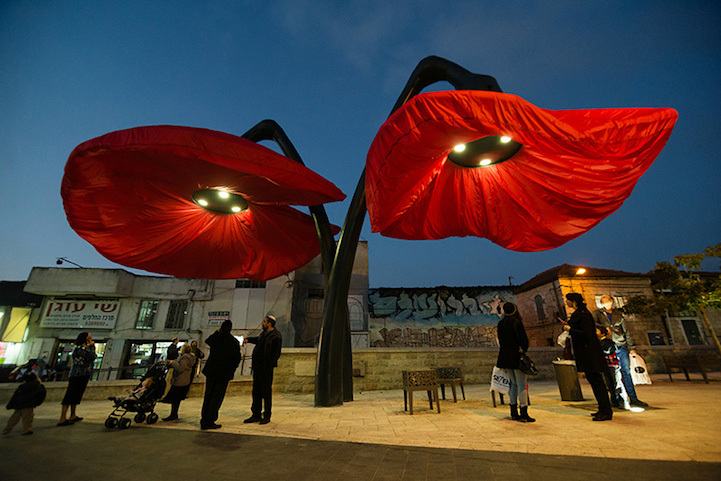 In addition to functioning as public art and street lights, the flowers provide cover to commuters getting on and off the tram.